A couple of weeks ago we talked about the better way to get a black and white image using the Graduate Layer adjustment layer. In both Photoshop and Photoshop Elements, there are even better ways to do this. These methods give you a lot more control over the look of the image because they modify the underlying color image, rather than using a separate gradient map. First, a little background into the days of yore when photographers were using black and white film. In order to gain control over the contrast of the image, we reached into our camera bags for some solid color lens filters. These filters would fit over the front of the lens, and, used with black and white film, would increase the “contrast” look by filtering out colors and turning them into darker or lighter areas of the color landscape. 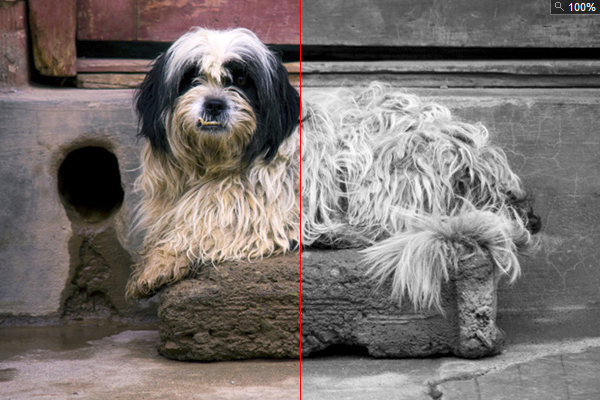 With digital editing, we can apply these filters to any images with the “Black and White” Adjustment layer in newer versions of Photoshop. A panel of sliders that cover not just the RGB colors but also CMYK colors can give great control because they will increase or decrease these colors in the image. Changing the position of the slider from left to right will make these colors lighter or darker. In Photoshop, we have even more control by clicking on the little hand with the arrow in the fingertip. This allows us to move over the image – by clicking and dragging left and right, this tool will lighten or darken the colors in that area so we don’t have to guess. Plus, if the color is a combination of two colors, both will adjusted as you watch both sliders move. If you like simplicity, there are standard photo filters in a drop-down menu that you can click for custom looks. These are color filters, like Red (great for landscapes) and Green (great for people). Another great feature is custom presets where if you come up with your own “secret sauce” of a black and white look and save it for one-click application. 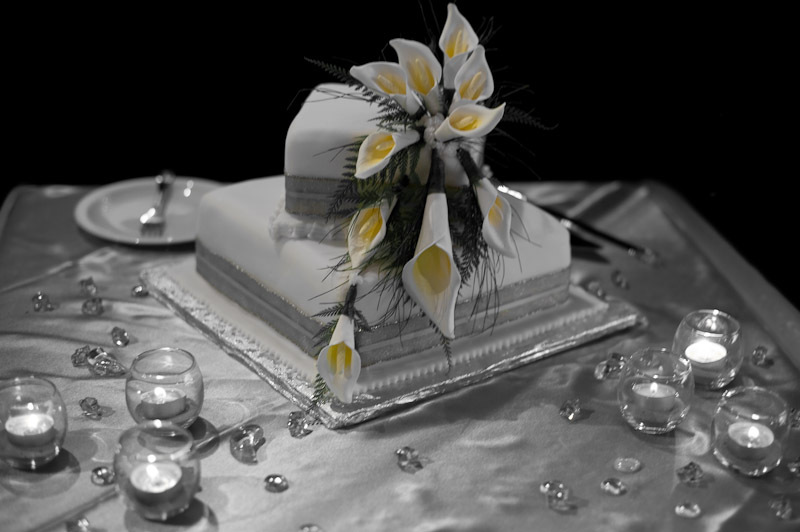 Photoshop Elements users also have a special tool for black and white that is not an Adjustment layer. It is found under the Enhance menu as “Convert to Black and White.” However, before you go to this, you should either make a copy of the file or add a copy of your Background layer to the image. Drag the image to the new layer icon (little square with the corner turned up) or the keyboard shortcut of Ctrl J (⌘J for Mac). The Enhance feature works only on an image layer and if you don’t have a copy you will lose your color image. So make the copy, then go to Enhance>Convert to Black and White. The new panel will show a “before and after” look (above). 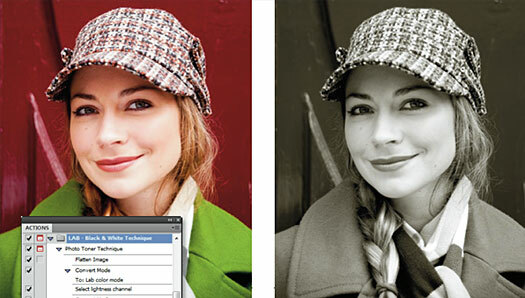 Plus, you have a lot of presets like Portraits, Landscapes and even Newspaper. Author’s note: I have to say these settings are really good, and that the Newspaper preset is great for images that need to go to the local paper. This setting gives the image a very good contrast that reproduces well. It doesn’t have as many sliders as Photoshop, but even just the RGB sliders does a good job of contrast control. Congratulations: You are well on your way to being a black and white photography expert. Have fun and feel free to experiment with your images!